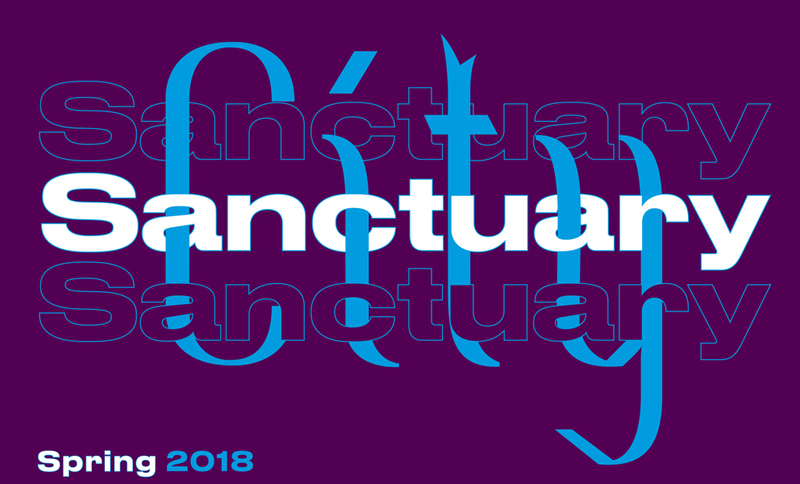 SAN FRANCISCO - The San Francisco Arts Commission (SFAC) in partnership with the Office of Community Engagement and Immigrant Affairs (OCEIA) is pleased to announce Sanctuary City, a multiyear series of exhibitions and public programs featuring artists exploring San Francisco’s status as a Sanctuary City. Kicking off the 2018 Spring Season on April 24 at the San Francisco Main Library Koret Auditorium is Sanctuary Rising, an in-progress film screening by documentary filmmaker Theo Rigby followed by a panel discussion addressing the history of the sanctuary movement in San Francisco. To be released in 2019, Sanctuary Rising is a feature documentary that follows Jeanette Vizguerra, an undocumented mother of three, as she fights for fellow immigrant mothers who have received final orders of deportation. In open defiance of immigration authorities, these courageous women have taken the extraordinary step of claiming Sanctuary in houses of worship and fight for the right to stay with their families in the U.S. Following the screening, a panel of esteemed faith-leaders, refugees, organizers, and public officials will speak to the intricacies of the Faith-based Sanctuary movement throughout the last three decades and how it has influenced todays’ sanctuary movement. Panelists include former Mayor of San Francisco Art Agnos; Executive Director of SHARE El Salvador Jose Artiga; Executive Director of the Interfaith Movement for Human Integrity Deborah Lee; Executive Director, San Francisco Interfaith Council Michael Pappas (moderator); and Labor organizer and San Francisco Sanctuary movement co-founder Eileen Purcell. The SFAC is proud to partner with the Office of Civic Engagement and Immigrant Affairs on this series. OCEIA’s mission to promote inclusive policies and provide assistance to immigrant communities through their programs and initiatives make them an invaluable partner in helping to get the word out to the communities whose stories we hope to share through art. “The Office of Civic Engagement & Immigrant Affairs (OCEIA) is proud to partner with SFAC on the Sanctuary City series, which explores how San Francisco continues to be a welcoming beacon of hope for all people, while our inclusive policies lead to meaningful civic, economic and linguistic integration for immigrant communities, “ said Adrienne Pon, executive director. Having launched this series in 2017 with the exhibition With Liberty and Justice for Some, the SFAC is excited to continue to present programs that address not only the struggles immigrants face when leaving their home countries but to also highlight the incredible contributions they’ve made to their host countries. Other projects planned for the 2018 Spring Season include an exhibition by immigrant and first generation young artists organized by writer and recent citizen to the U.S. Ingrid Rojas Contreras, a print performance by artists Sergio de la Torre and Chris Tregiarri, and an evening of performances organized by poet and musician Sandra Garcia Rivera. The SFAC’s 2018 Art on Market Street Poster Series is also dedicated to exploring the City’s Sanctuary City status. Currently on view in the bus kiosks along Market Street are posters by Miguel Arzabe. Entretejido (Interwoven) is an homage to La Raza Silkscreen Center and Mission Gráfica, two venerable institutions that have acted as important communications and artistic platforms for San Francisco’s marginalized communities since the 70s and 80s. This series will be followed by new projects by Rodney Ewing, Rodney Ewing, Weston Teruya and Sofía Córdova.